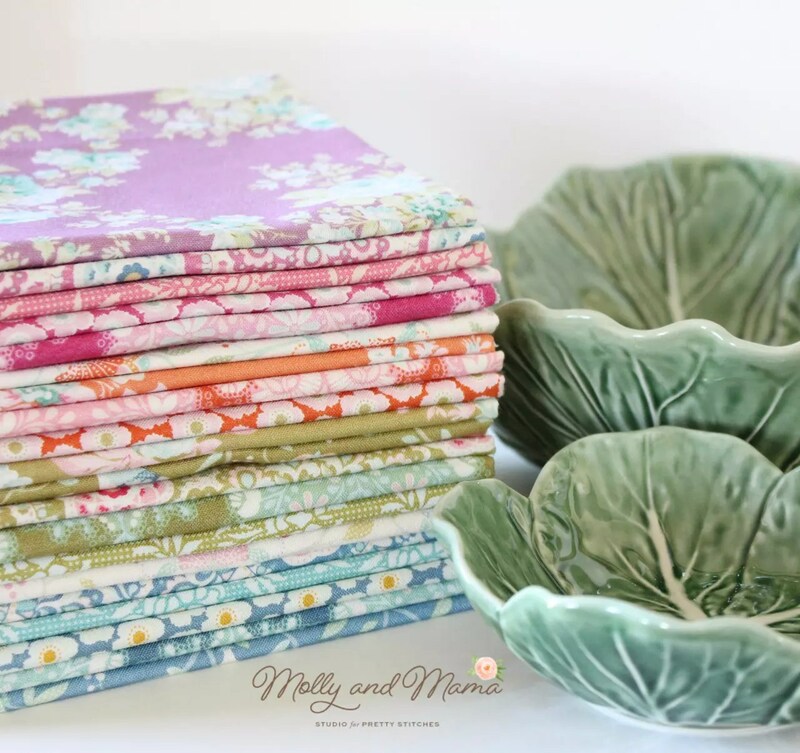 I get so excited every time a new fabric collection from Tilda comes out! 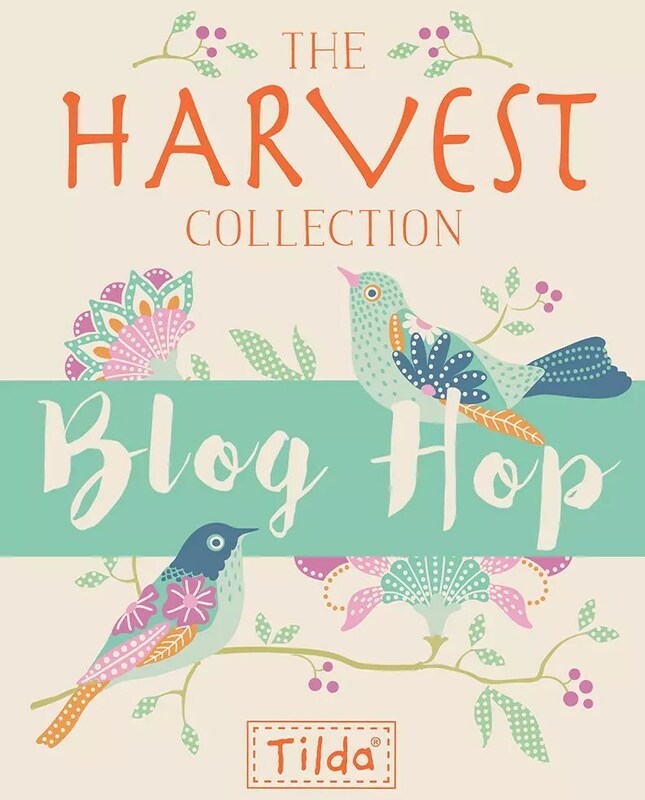 The Harvest collection is due in Australian stores on the 1st of August. But I was very lucky to be able to play with these lovely prints a little early. Special thanks goes to the lovely team at 2 Green Zebras for sending this bundle of goodness, and for inviting me to join the Aussie blog tour which kicked off on the 21st of July. If you’re a regular instagram user, you will have noticed me sharing lots of previews of this gorgeous range. This Autumn inspired collection features the signature florals we’ve come to love from Tilda. But it’s the colour palette that really makes them stand out; sage greens, burnt oranges, fresh teals, magentas and even purples. My favourites are the bird prints! And the geometric patterns that lend themselves so well to fussy cutting (but more on that tomorrow). The entire collection reminds me of a harvest garden. So when the fabric first arrived, I began to toy with floral sketches and create line drawings. 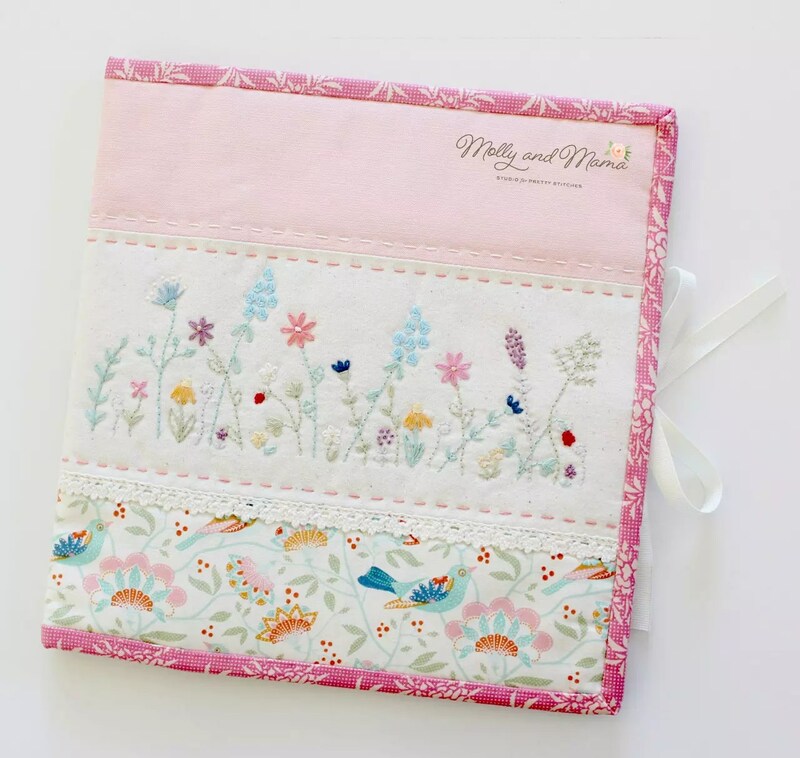 The prints inspired me to create an embroidery design featuring lots of different flowers and plants, all swaying in the Autumn breeze. I hand stitched this panel below using three strands of Aurifil floss in various colours and shades. I love how it turned out! I decided to use the panel to decorate the front of a new sewing kit. 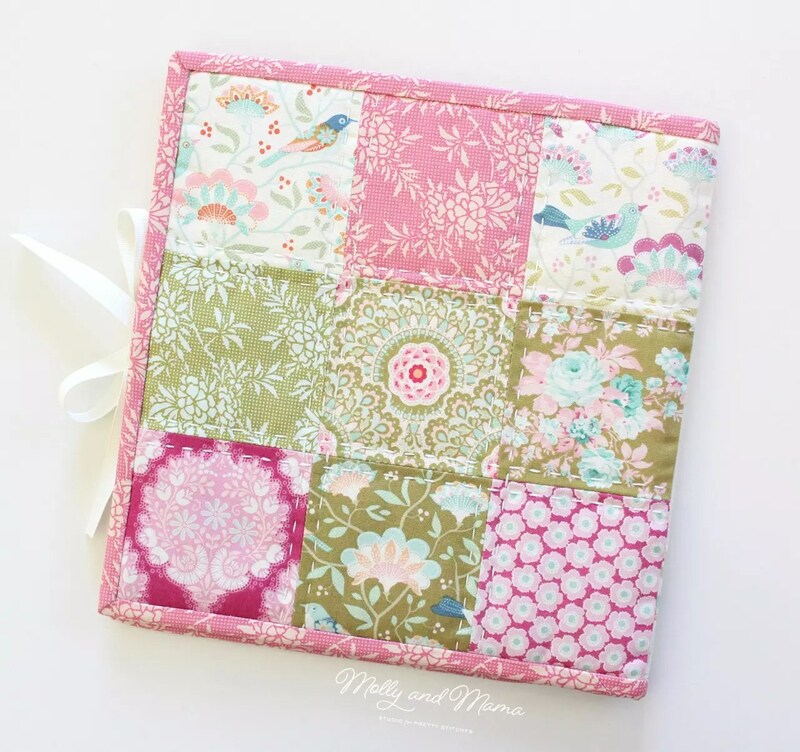 At 9.5″ square, it’s large enough to hold all sorts of sewing goodies! The back of the kit showcases a whole bunch of the beautiful prints in the Harvest range, using this simple nine patch design. You can tell I was still drawn to the usual pinks and greens. I can’t help myself! And while the outside is pretty, the inside is all about practicality. The left hand side features a pocket with a lace zipper. 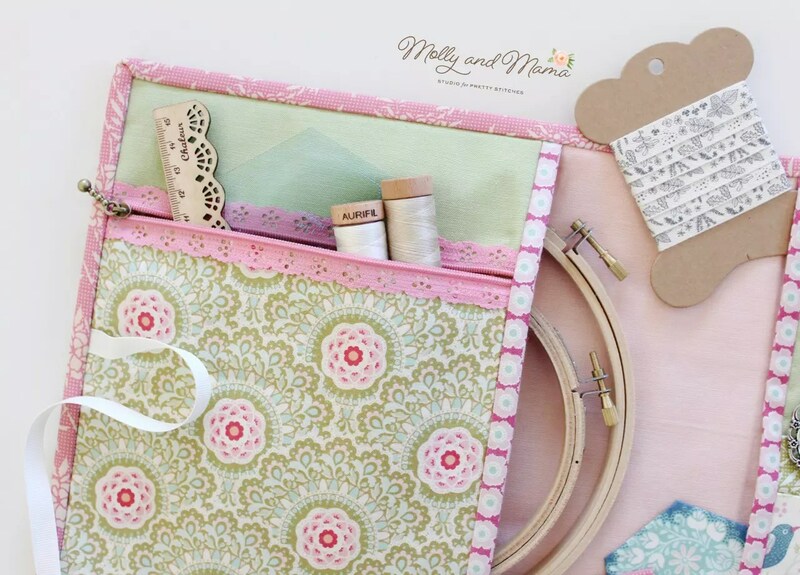 So you can safely store items like hexie papers, scissors, appliqué glue, and other notions and tools. You can pop an embroidery hoop or two behind the pocket also. The right hand side has the same pocket idea. But it also contains front pockets to hold your pens, glue pens, scissors and more. Add to that a needle keeper, and you’ll find there’s a place for everything! I had hoped to have this pattern ready for release today, but unfortunately things don’t always go to plan. After a week nursing my sick family, it’s now my turn. I’m so disappointed not to have this ready for you. But it is the first task on the jobs list, as soon as I am well enough. So if you’re not a newsletter subscriber, please sign up. It will be the best way to find out when the pattern is ready for release. In the mean time, there are lots of other gorgeous Tilda patterns and projects made by our super talented Australian makers. So head to the blogs on the list below to see what everyone else has been up to. Tomorrow, Xanthe from Wife Made is bringing you something really special! 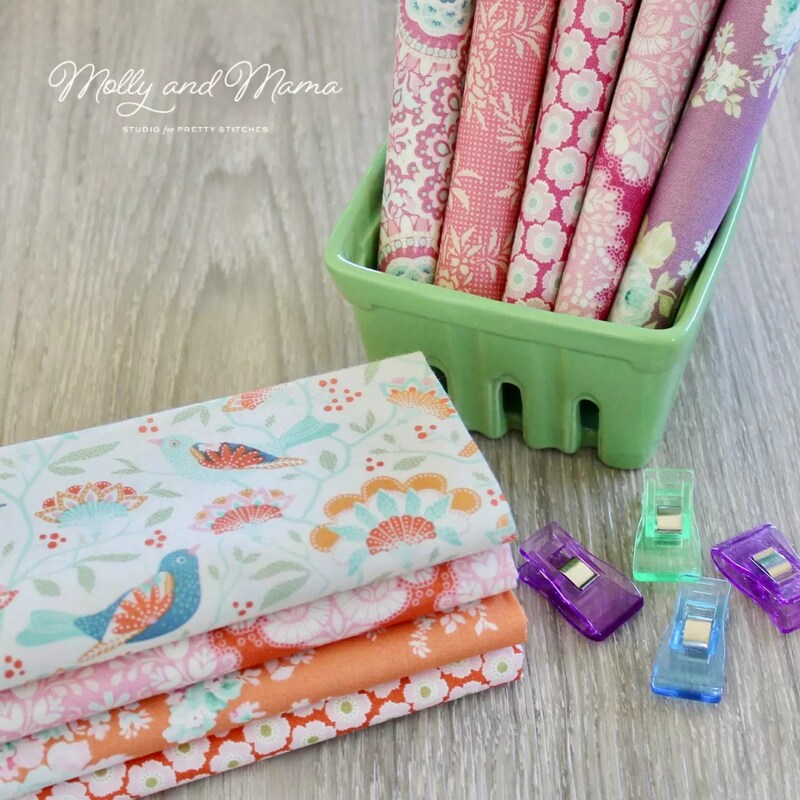 And if you’d like to read more about my love of Tilda fabrics, you can see more about my Hettie Hexie Mini Quilt pattern made with the Circus fabric range. I also designed a Tilda Club project in April, using Circus too! Thank you for your lovely comment Karen. Everything matched even better than I had hoped. 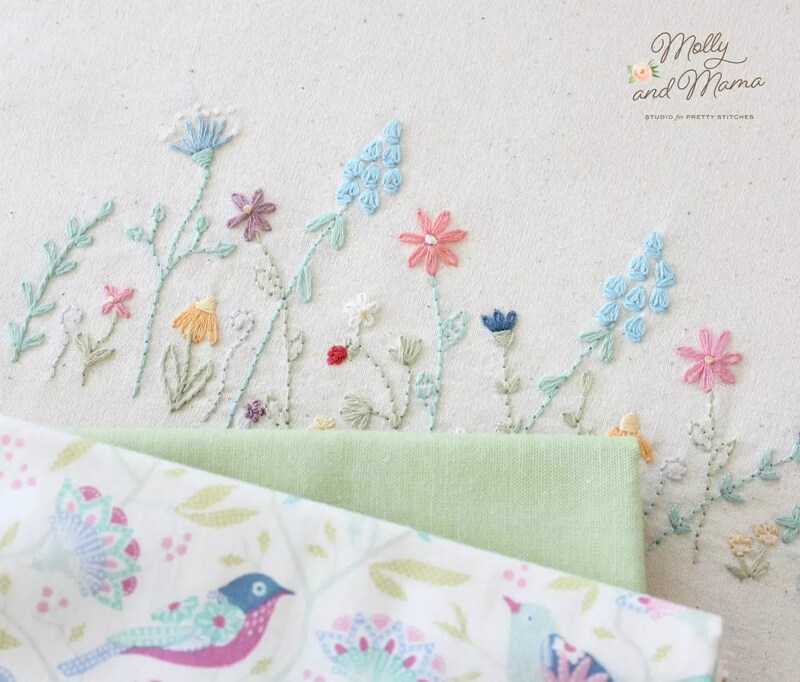 What wonderful stitching kit – very inspiring! So pretty! Thanks for your Blog+the Hop! Has the kit been released yet? I’ve looked all over and I still can’t find the pattern. I adore your work so I’m beyond excited for this pattern. It is exactly what I’ve been searching for!!! I received your book in the mail today and am so inspired to make one of the beautiful projects, but hard to pick which one! Your work is so lovely! 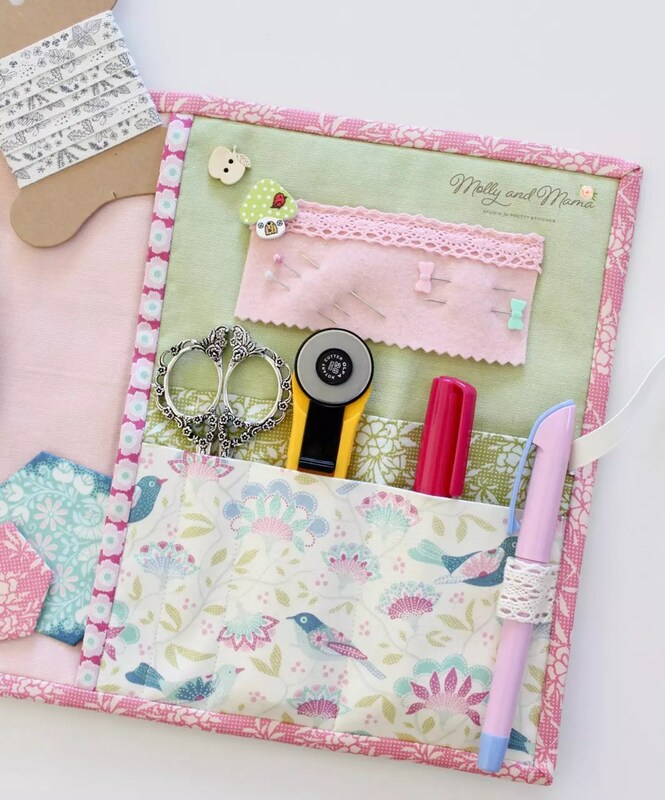 I am smitten with the sewing kit above and have been anxiously awaiting the pattern. Do you know when it will be ready? Thanks so much for sharing your beautiful talents. This is so sweet. 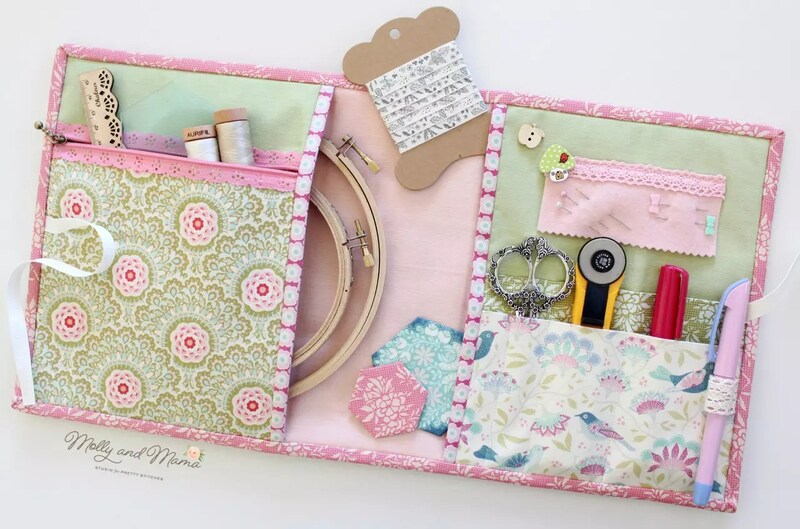 I love everything about this little sewing case! I was looking for the pattern for this sewing kit but could not find it. Is it no longer available? Sorry Julie. This one is still on the To Do List. But please stay tuned. Thanks, Lauren.